Hello there! Let me introduce myself, I am Khalisah from The Scribbles of Joy. You might be wondering why I am here today. Well, Kanra and I thought that we should collaborate and talk about school together! We all know how school can get really boring but of course, there are ways to enlighten your day during school hours. Therefore, I’ll be sharing with some tips on Survivng School! Have your stomach ever growled in the middle of the class? I know it can be a little bit embarrassing, don’t worry I have experienced that so you’re not alone. To avoid this, try bringing some snacks into class and have a munch whenever you’re hungry. If you educator does not allow you to do so, then just munch on them during breaks! Easy isn’t it? It would be fun and joyful when everyone in your class bring something each week. You can’t say no to this, food taste better when we share. If you ran out of ideas of what snacks to bring to class, here are some of my favourite snacks! Whenever you feel sleepy in class, simply just doodle on a piece of unused paper. You don’t really want to submit your assignment which is full of doodles. Let’s be real and honest, I have fallen asleep in classes so many times because I was tired. Recently, I would randomly doodle in my notebook to myself awake and it helps me. A warning though, this might distract you a little from listening in class if you are not able to multitask. Don’t be afraid my friends, keep sweets in your pockets because sugar is what you need! Let your inner artsy-soul reveal itself. School would be so much fun when your friends are around. A great bunch of friends can really motivate you to work and study hard. Whenever you’re in doubt, you know you can count on them and they would gladly help you. In classes, it is good to buddy up with someone. That way, you can check with him/her whenever you miss a class. 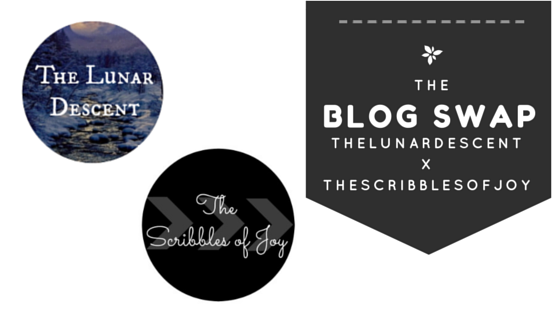 Do not forget to check out Catalina Blue’s post on The Scribble of Joy! I am really honoured to write on this blog and have enjoyed myself greatly collaborating with Catalina! This would not be the only time we would collaborate, for sure! Catalina writes really well and I am always on my toes reading her blog. Thank you Catalina for collaborating with me. Have a great day, week and month ahead of you!